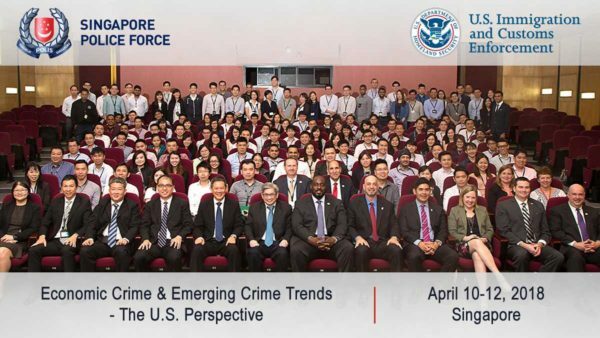 NPS Center for Homeland Defense and Security master’s degree alumnus Ryan Jerde traveled to Singapore in April where he discussed his thesis research as part of a joint workshop with Singaporean law enforcement and regulatory officials and Immigration and Customs Enforcement/Homeland Security Investigations (ICE/HSI). Jerde is a Supervisory Special Agent with ICE/HSI whose thesis, “Follow the Silk Road: How Internet Affordances Influence and Transform Crime and Law Enforcement,” explored the link between the so-called “Dark Web” and modern criminal enterprise. In Singapore, he led discussions on Introduction to Cryptocurrency and Blockchain, Cryptocurrency Investigations, and Cryptocurrency Prosecutions and Case Studies. “I was asked by the HSI Illicit Finance and Proceeds of Crime Unit to present three blocks of instruction at the workshop on cryptocurrency based on my familiarity with the topic from researching and writing my NPS-CHDS thesis,” Jerde noted. A combination of career experience and classroom curiosity led Jerde to his thesis topic. The now-defunct website Silk Road was infamous for hawking illegal wares from drugs to weapons by operating outside the traditional bounds of law enforcement. Anonymity can be virtually ensured by programs such as Tor and cryptocurrencies used for international transactions. NPS-CHDS master’s degree courses were especially helpful: Technology in Homeland Security; Strategic Planning; and Internet, Society, and Cyber-conflict. His presentation in Singapore incorporated recommendations from his thesis and included a case study review of the Silk Road, Silk Road 2.0 and BTC-e criminal investigations. Technology training is a necessity for all investigators; not just investigators of traditional cybercrimes. All law enforcement needs to develop a technology mindset. Classifying crime accurately is vital for knowing what investigative techniques will be most effective. Smart enforcement is needed for crimes facilitated by Internet technologies and is the selection of the most effective combination of traditional and unconventional investigative techniques. Government collaboration is required to leverage the most advanced law enforcement understandings of technology and to stay ahead of criminal uses of technologies. No one agency or individual can know everything. Public-private partnerships that rely on federally funded research and development centers (FFRDC) are needed to assist law enforcement with the identification and management of disruptive technologies. Unconventional frameworks, such as affordance theory and stigmergy, could help advance the study of criminal justice. 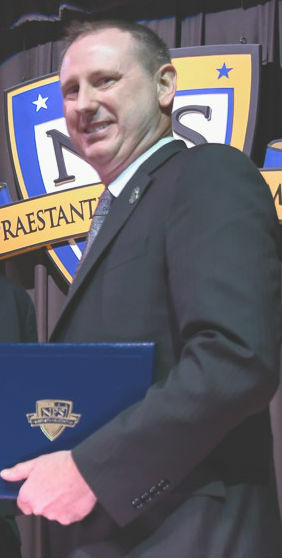 Prior to his current role supervising cyber investigations, Jerde managed investigative groups responsible for counterterrorism, transnational gangs, and financial crimes. He has held positions as Senior Special Agent with the Office of Professional Responsibility’s Special Investigations Unit, National Program Manager for the Undercover Operations Unit, and Special Agent in the Chicago field office. He began his more than 21-year career in federal law enforcement as a U.S. Border Patrol Agent in Brownsville, Texas. Jerde commended the NPS-CHDS master’s degree program for enhancing his career. He credits his thesis research in particular for his recent assignment to managing the HSI D.C. Cybercrime and Emerging Market Group and said he continues to interact and call upon former classmates for expertise.